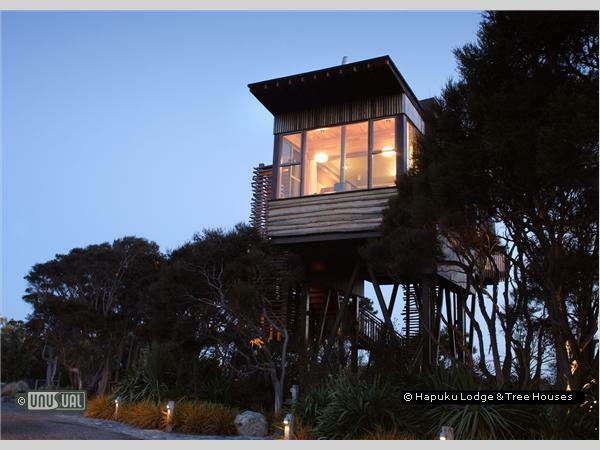 Conceived as a contemporary country inn Hapuku Lodge has developed into one of New Zealand’s most iconic luxury properties, five Tree Houses were added to the modern lodge accommodation in 2006 ensuring the lodge has the most unusual luxury accommodation available in New Zealand. 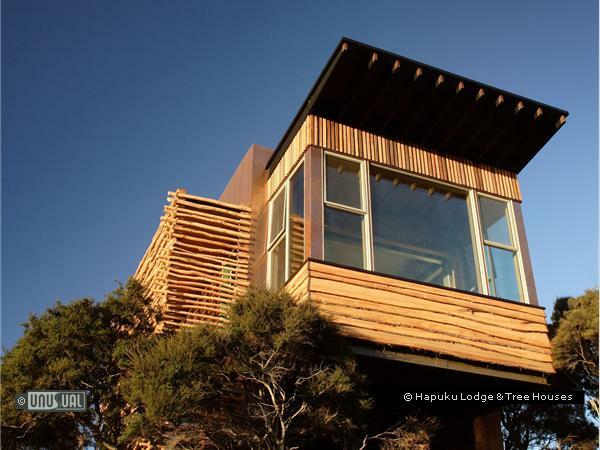 Throughout the lodge the family owners have contributed their design skills, ensuring the lodge fits with it’s spectacular environment, custom designed and immaculately presented wooden furnishings inside compliment the wooden cladding found around the lodge and Tree Houses. Tarzan and Jane never had it so good! 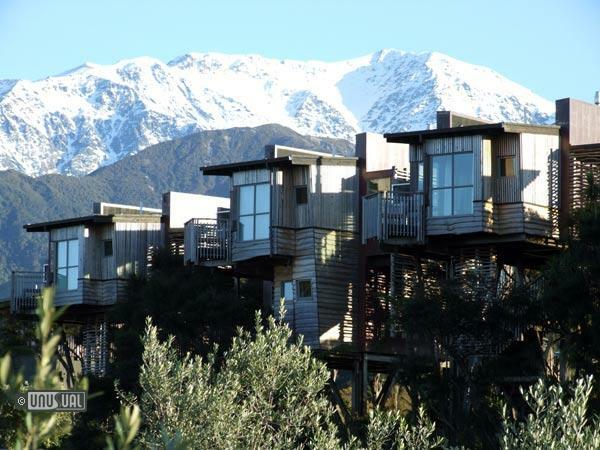 The Tree Houses stand 10 metres off the ground amongst a stand of Manuka and Kanuka Trees, with large windows capping each end of these spacious rooms one can look out to the snow-capped Kaikoura Mountains to the West and East across the Olive Grove to the Pacific Ocean. 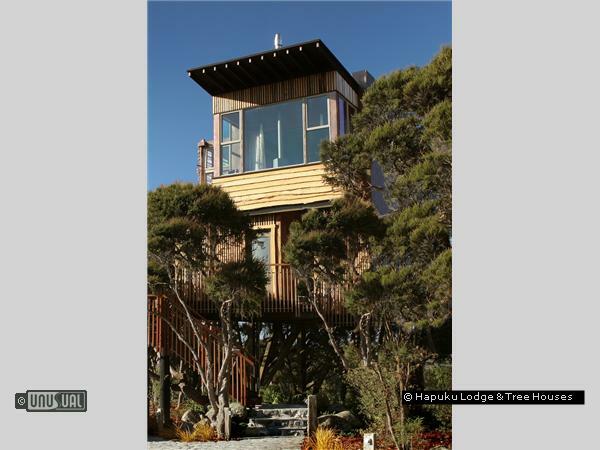 Inside, the Tree Houses are furnished with custom designed furnishings including ultra-comfortable beds and handcrafted wood as well as all the amenities expected of a city-centre hotel including large spa bath, wireless broadband, flat-panel TV, Ipod docking station, air conditioning, heated floors. 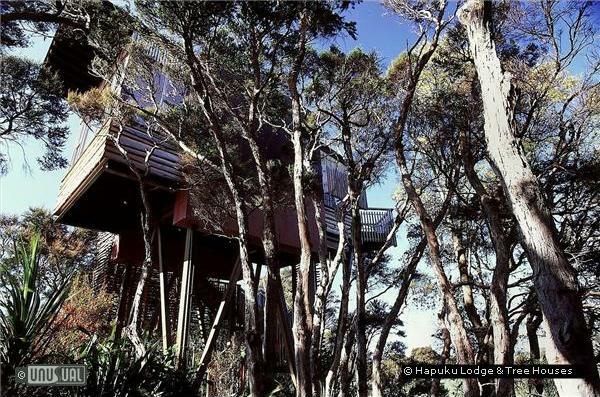 The Tree Houses even have private fireplaces and small balconies. 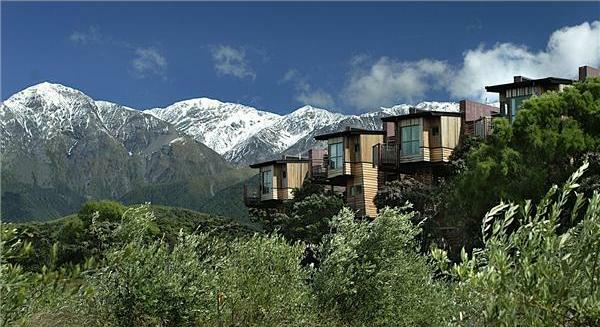 To compliment many eco-conscious design elements, the lodge has ingredients for the gourmet cuisine sourced almost wholly from local suppliers, including some from the onsite garden, some of the freshest low-food-miles food available in New Zealand. 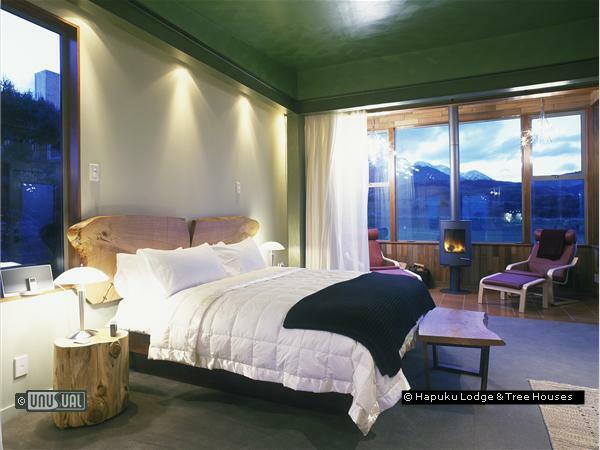 All rates include a table d’hote dinner of three course and cooked a la carte breakfast, in New Zealand dollars, excluding GST. 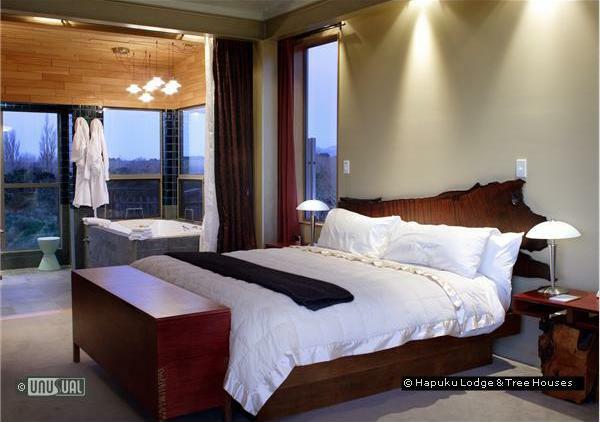 Hapuku has a maximum occupancy of two persons for the Lodge Room, Hapuku Room and Tree House. Upon request they can set up a rollaway bed in all other room types. The charge for the rollaway bed is NZ$195 (excluding GST). A cot is available free of charge. Kaikoura is a spectacular destination, with dramatic mountains and a rugged Pacific coast, it is world renowned for it’s marine wildlife. Whales, Dolphins, Seals, and Seabirds are resident off Kaikoura all year-round, and there are world class activity operators who are award winning for their sustainable practises. 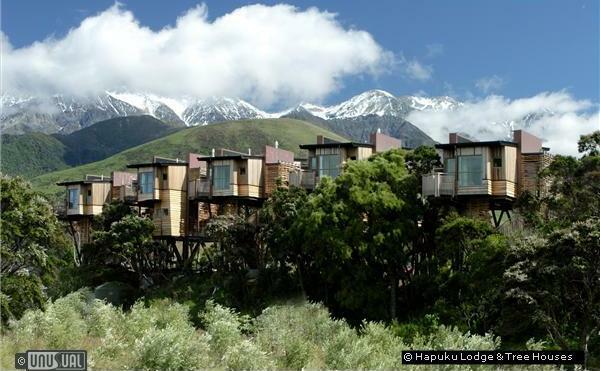 Kaikoura has a rich history and the local Maori Tours are authentic and informative. 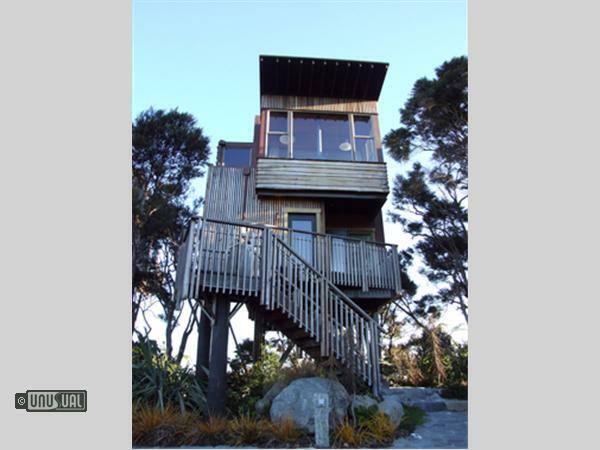 Other activities include sea-kayaking, walks, surfing, fishing, vineyard tours and even Llama trekking. 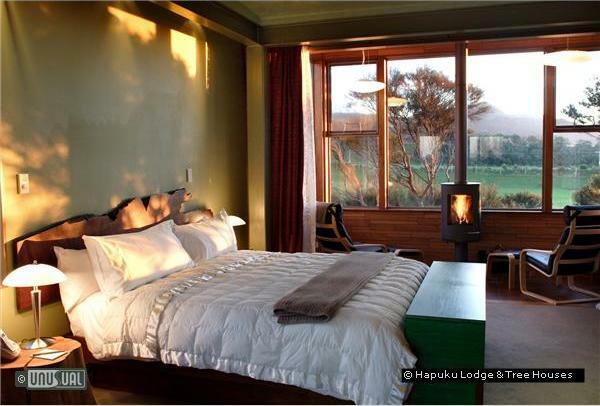 If you only stay in one place in New Zealand then make it Hapuku Lodge. We travelled around both islands during our visit and it stood head and shoulders above everywhere we stayed. 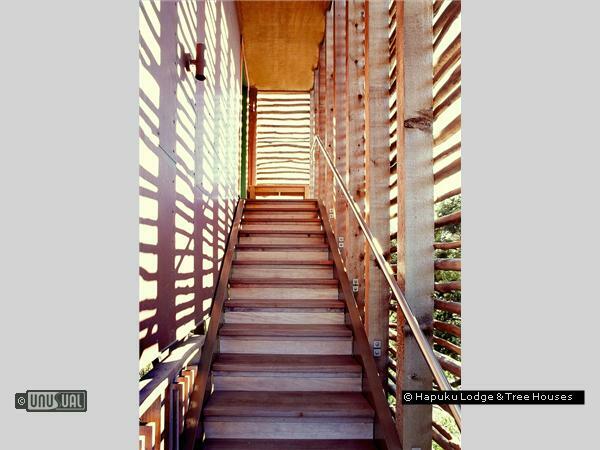 During our stay we stayed in the main building and one of the tree houses (as they were not available for the full duration of our visit.) 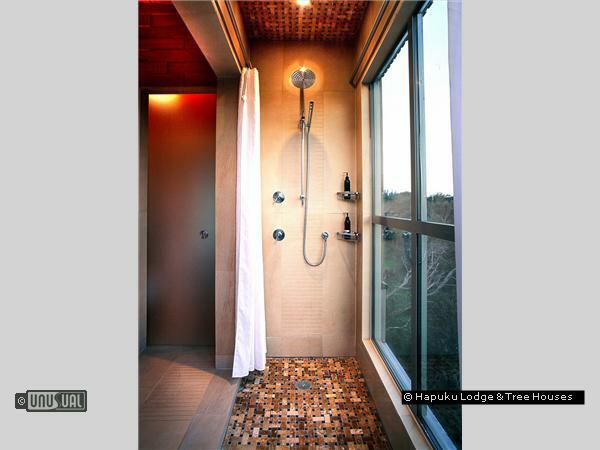 Both of the rooms were wounderfull and all the little touches really made the stay memorable. The staff were so friendly and welcoming, nothing was too much trouble. The food was cooked to perfection and the views to die for. A short walk from the lodge is a wild pebble beach. 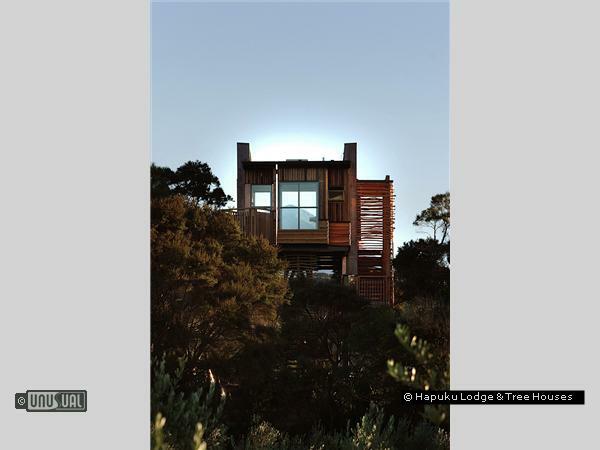 This is not a place to miss, the tree houses would make an ideal honeymoon setting, watching a crackling fire while relaxing in a hot tub with a glass of champaine. I would rate this place 10 out of 10, I cannot fault it in any way at all.